We weren't satisfied with any of the existing control panel solutions on the market, so we built our own from the ground up specifically for WordPress. 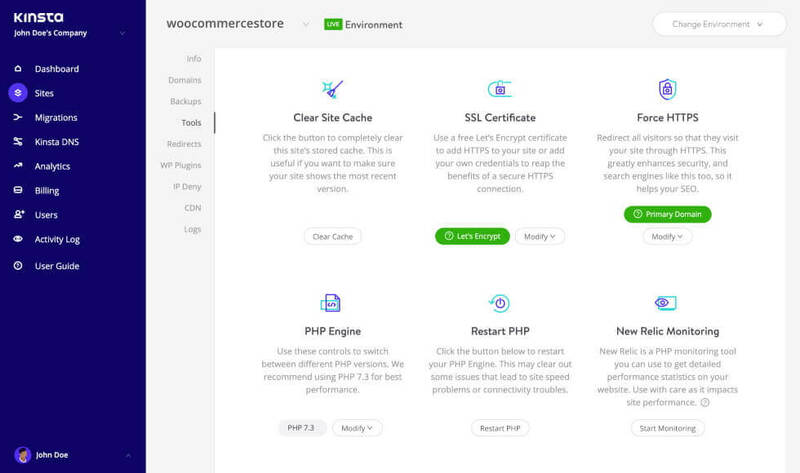 Managing your sites has never been easier! Want a quick peek? 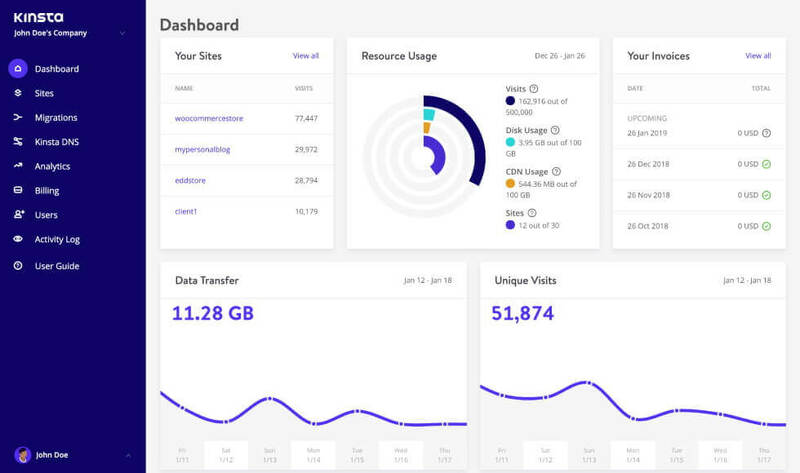 Take a tour of the MyKinsta dashboard to see how it can improve your daily workflow and simplify site management tasks. 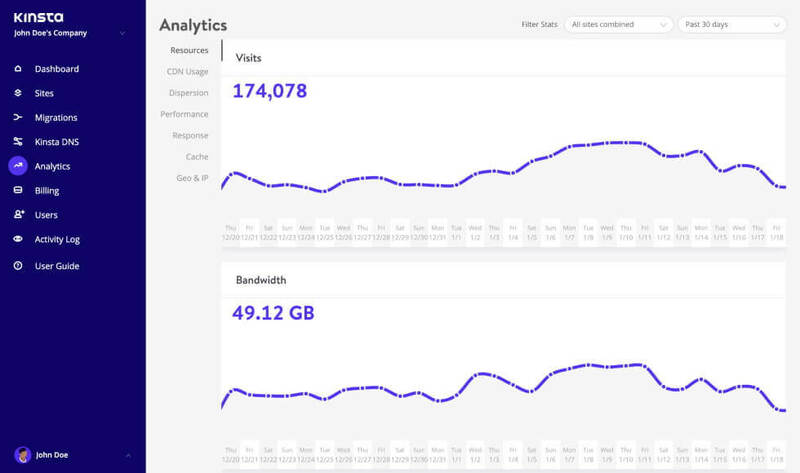 Get a quick overview of all your sites hosted at Kinsta, including a summary of your resource usage (bandwidth, disk space, and number of sites), as well as visitor analytics and invoices. Also, check out the latest articles from our blog. There’s no need to wait for support. Installing SSL on your site has never been easier! You can quickly setup free SSL with our one-click Let’s Encrypt integration or upload a certificate of your own, right from the dashboard. Quickly gain insights and troubleshoot what is really happening on your WordPress site with MyKinsta analytics. The reports include everything from visitor statistics, resource usage, performance monitoring, cache analysis, and even security. Coming from another hosting service that used cPanel or Plesk? Don't worry, MyKinsta has all the features you’re familiar with and more. The only difference is that MyKinsta was developed specifically with WordPress in mind to save you time and clicks. MyKinsta is constantly in development. We’re always shipping new features based on requests made by our users. Whether you're launching your first site or need Enterprise hosting, we've got you covered. Contact us if you need something special!